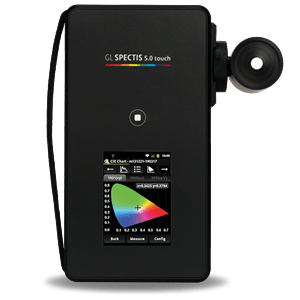 Our GL Optic division develops, manufactures and supports a spectrum of precision light and radiometric measurement solutions for a broad range of applications. Sold and serviced worldwide, our systems are comprehensive, intelligently designed and intuitive to use. Products include: spectrometers, integrating spheres, goniometers, programmable LED & reference light sources, thermal & electrical controllers, and analytical software. 2007 saw the unofficial launch of today's GL Optic. Michael Gall, then and now CEO of JUST Normlicht, started a cooperation project with Polish physicist Jan Lalek, the outcome of which would subsequently be the development of a self-calibrating, LED-based standardised viewing booth. The production of standardised viewing devices of this kind has a lot to do with the measurement and evaluation of light spectra, this ultimately giving rise to the motivation to develop a proprietary, user-oriented solution for light measurement and colourimetry. 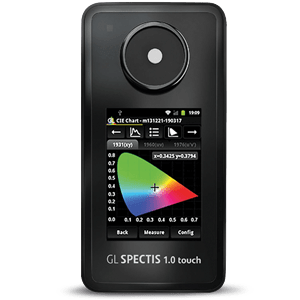 As a result, the GL Optic division was founded in 2009, with the aim of realizing maximum-precision, low-cost and user-friendly light measurement solutions. 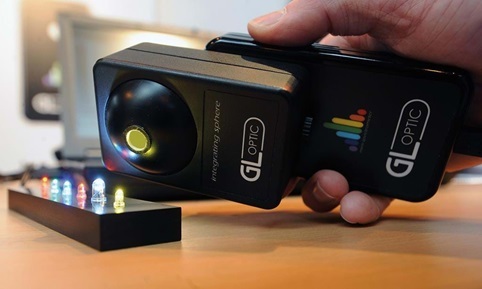 Alongside an initial "MINI Spectrometer", the first innovation bearing the GL Optic brand was developed three years later. 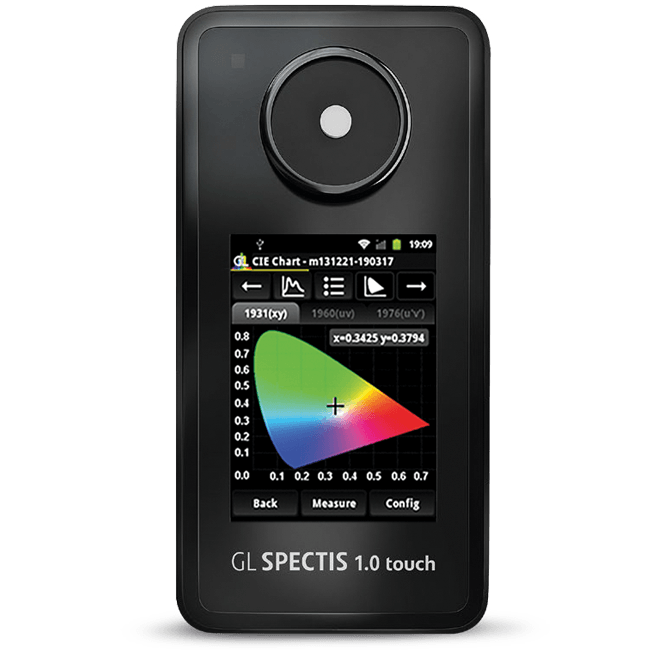 The Android-based "GL SPECTIS 1.0 touch" light measuring instrument was to be the first instrument of its kind featuring intuitive operation by touch screen and achieving extraordinarily precise measuring results. 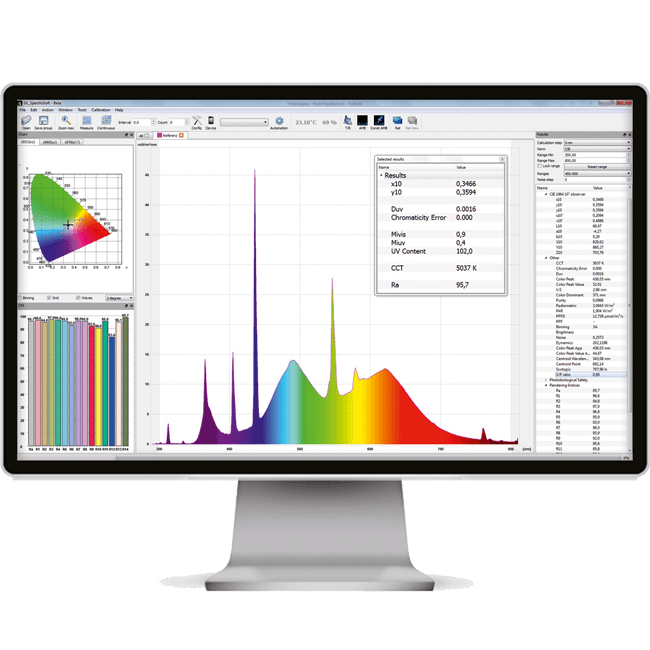 Traditional light sources are increasingly being replaced by LEDs and OLEDs, meaning that the requirements and the need for measuring equipment in the development and quality control of lamps are constantly growing. 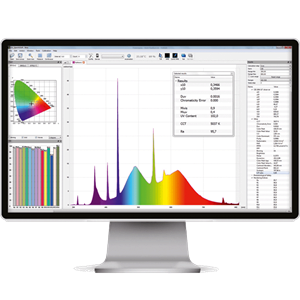 The rising demand for light measuring instruments and LED measuring systems of all kinds, as well as the positive development of the GL Optic brand, prompted us to make the brand independent in 2014. The business of the GL Optic company is today managed jointly by Michael Gall and Mikolaj Przybyla. Jan Lalek is responsible for research and development. JUST Normlicht is an official distributor of GL Optic products for Germany, Austria, Switzerland, France, Italy and Americas. Rest of the world is served by GL Optic, Poland.